I’m not even 25 minutes into this audible recording and I can’t keep listening. 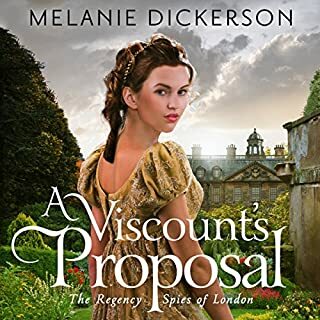 I love Melanie Dickerson’s books, but whoever selects the narrator for this series needs to be fired. It is impossible to visualize a male romantic lead with the simpering, growly, unbelievable voice that she uses for the character. This probably means I won’t finish the book for a long time, because I don’t have time to read but I do have time to listen while I drive. I hope the author gets this feedback and can weigh in on who they choose to narrate her books. The narrator is very expressive, but I really don't like her vocal interpretation of the main male characters. 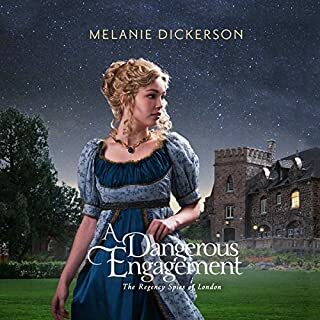 Nicholas, the romantic lead from the previous book in the series, sounds oafish and the romantic lead in this book sounds like the Duke of Weaseltown from Frozen. Instead of being tender, it made the romantic scenes almost comical. Otherwise, this is a short, fun, easy read. I would recommend the kindle version of this book and skipping the audio.